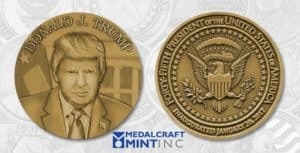 The Green Bay, Wisconsin-based company previously had been selected to mint the official inaugural medals for Presidents George W. Bush and Barack Obama, as well as items for the 2002 Salt Lake City Winter Olympics. 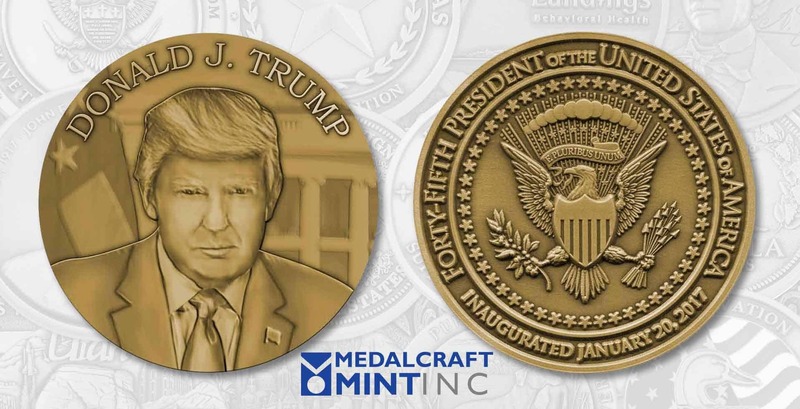 Every aspect of Medalcraft Mint’s production takes place in its 32,000-square-foot facility in Green Bay, Wisconsin. The company has won more awards for superior metal striking over the past three decades than any company in its industry. 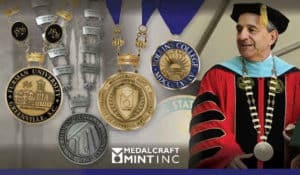 Medalcraft Mint’s artisans use a die-striking process in which the medal’s image is struck from dies rather than cast from molds. Die-striking presses material into the die cavity to create an exact impression of the image from a hand-cut die. The company uses only solid materials, selected for their purity and metallic composition, in the minting process. Its craftsmen die-strike a wide range of medals, medallions, award recognitions, commemoratives and other items from brass, nickel-silver, bronze, copper and precious metals. 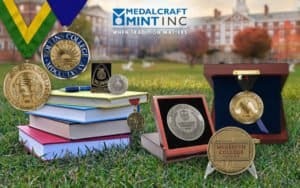 Medalcraft Mint is known for its dedication to customer service, quality control, speed to market, and continual enhancements to its processes in its role as an industry leader. 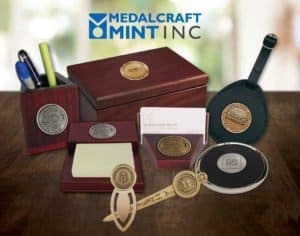 For more information about Medalcraft Mint’s products, please go to http://medalcraftusa.com/ or call 800-558-6348. View original post on the Trump inaugural medal here.